OMG, this is sooo sweet! You should read the whole article - it's about Sean and his three daughters .... and it's cute! I really hope there will be more Astin-Movies in the future. Btw: I've just figured out, you can pre-order his movie "Forever strong" now - it will be released on May, 26. 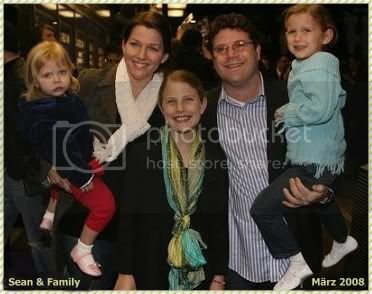 He's got such a purdy family. His oldest daughter's really growing up!! Oh yes, he has three wonderful daughters. It was so great to meet them at RingCon ... it's over two years ago and yes, they are growing up.